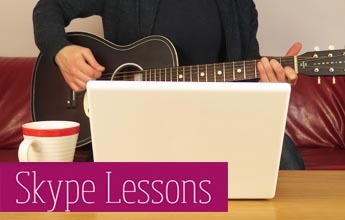 My name is Michael Banfield and I teach one to one guitar lessons in Manchester and online via Skype. If you need a calm, friendly, dedicated guitar teacher to help you move to the next stage with your music, I'd love to help. I teach a wide range of styles and techniques, and I specialise in rock, pop, blues, indie and jazz. I specialise mainly in intermediate and advanced levels so while I do take on complete beginners I only teach students aged 11 and above. Please take a look around the site. If you'd like to find out more or book a free introduction lesson please contact me here.